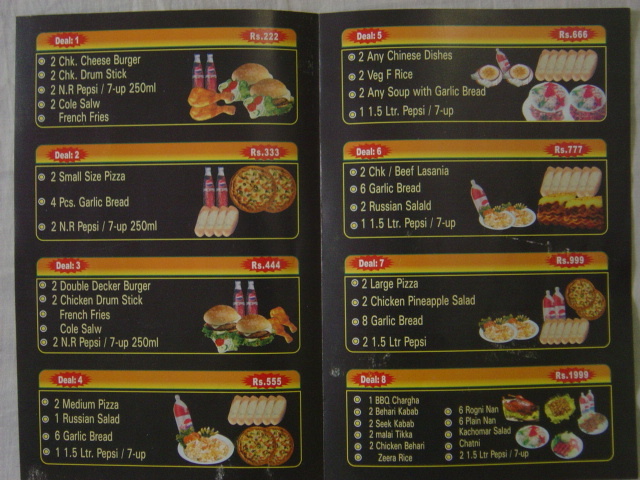 Back in the 80s, when café rage was yet to hit the Karachi foodscape; branded franchise (Pizza Hut, KFC & McDonalds) were non-existent, and places like Copper Kettle and the Zamzama street were still in the womb, Chinese restaurants were the place to hit if you wanted to have an upscale eating out experience. 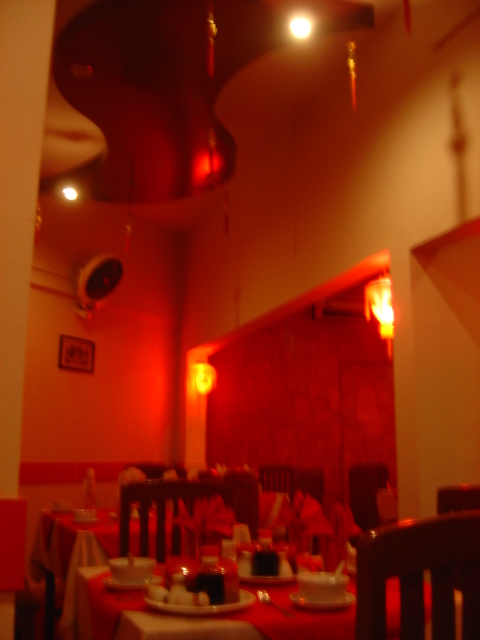 Most of the Chinese restaurants in the city including Peking, Kowloon and Hong Kong were concentrated in the PECHS and Bahadurabad area. 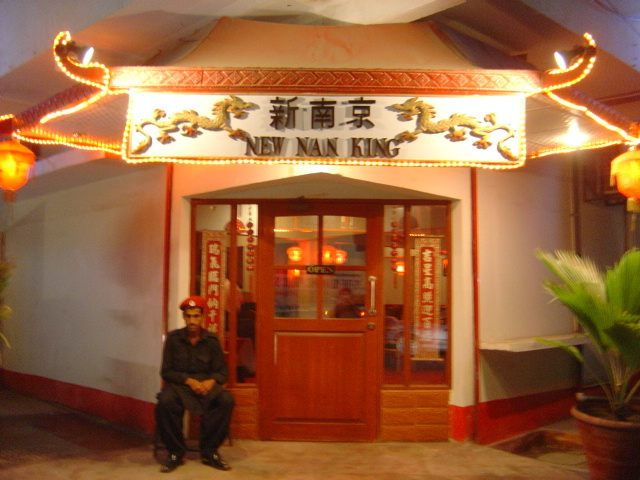 And the king of the lot was none other than NanKing – a spacious Chinese joint situated opposite the area where Dolmen centre is now on Main Tariq Road. It had the best Chinese grub this side of the Indian Ocean, especially its Hot n Sour Soup. No one has been able to match it since then. Unfortunately when I returned to Pakistan in the early 90s, the place had wound up business. Why do I reminisce about it now? Because a new Chinese restaurant has opened up in the same area (not the exact location) with the name New NanKing. It’s location should be a bit of a worry for its restaurateur, Aamir, for it is situated right behind Tariq Road, on the corner of the narrow lane leading to Jheel Park from Bahadurabad. It’s the same lane you take when you want to get to Tariq Road from Bahadurabad but want to avoid the berserk traffic. So does this restaurant has any relation to the old Nanking? Not really, says the owner Aamir, but he adds the management of the defunct restaurant was supportive in setting up this joint. Whatever that means. Does this place live up to the expectations of the original? No. But it has its own uniqueness. The USP of the place is the quantity of the serving. It’s gigantic compared to what the other restaurants have to offer. Whether this is due to it being new is something only time will tell. But that’s how Nanking should try to position itself. It should first try to be crystal clear on what precisely its current positioning is -A low-cost Chinese restaurant in the premium Chinese category. If it’s not satisfied with this position, it should first try to change course from within before embarking on a marketing adventure. For me, Nanking is placed at a very unique position in the comity of Chinese restaurants. There are no’ low-cost + generous-serving’ brands in the premium Chinese category, as such Nanking holds an inherent advantage by virtue of its position. I don’t think the name Nanking itself holds any sway because not many people would have remembered that place of the yore. For just Rs.1000, 4 people with normal appetites can have a hearty Chinese meal. What more can you ask for? Taste-wise it’s not the best of the lot, but it’s not bad either. The thing is, it does not taste like authentic Chinese, but then how many of us know what authentic Chinese food tastes like? We don’t. Our taste buds have come to correlate authenticity of Chinese food with what we‘ve been weaned on by the local Chinese restaurants. Any new Chinese restaurant whose taste deviates from this ‘standard’ we disregard as lacking authenticity. However, the taste is more than offset by the humongous portion they are offering, especially that of the fried prawns. You would be hard pressed to find any Chinese joint offering more than six pieces. These guys are offering an awesome ten. Big succulent fried prawns, and that also ten! They don’t disappoint in the sweet and sour prawns either although the quantity is not the same as their curry-less counterparts. What can New Nanking do to capitalize on its existing positioning? Offer special heavy discount deals on those nights which are the slowest of the week. Maybe an All-you-can-eat at dirt cheap rate with no loss in quality on the slowest night of the week would do wonders to the sales. At the very least it would get those people to try it who normally wouldn’t. They say the winning combination in marketing is to be different rather than better. 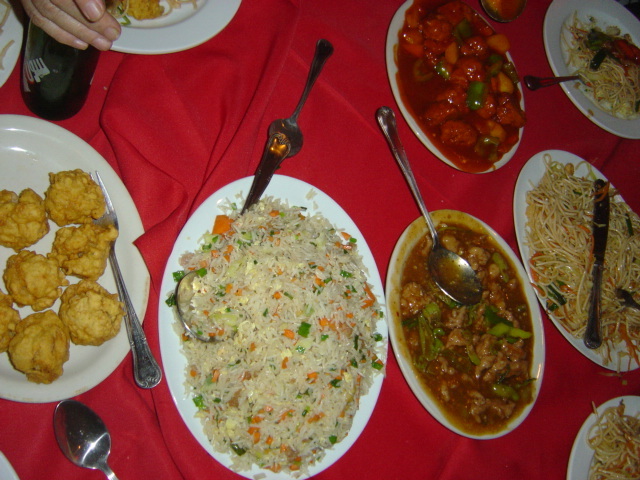 The best differentiation a Chinese restaurant can offer in the Karachi foodscape is to offer Chinese buffet. No one is offering that currently or even has, to the best of my knowledge. Red Dragon did that for some time, but it closed shop before I had a go at it. Yes, almost all the buffets in town do offer a couple of Chinese dishes like fried rice and chowmein, but they aren’t any good. So new Nanking would do well to experiment with a Chinese buffet maybe just for a night a week to gauge the response. Since it’s a low-cost brand, spending heavily on advertising is neither recommended nor can it afford it. However, a minimum of advertising is essential. What to do? 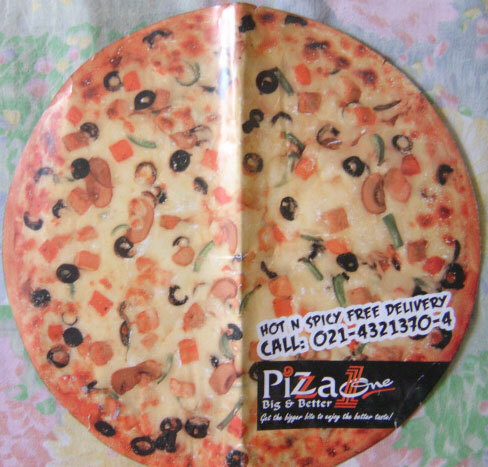 Make brochures not flyers, and distribute them to the shoppers on Tariq Road and even to the shopkeepers. Another good way is to create brochure stands and place them in some of the hot-selling shops on Tariq Road with the brochures. 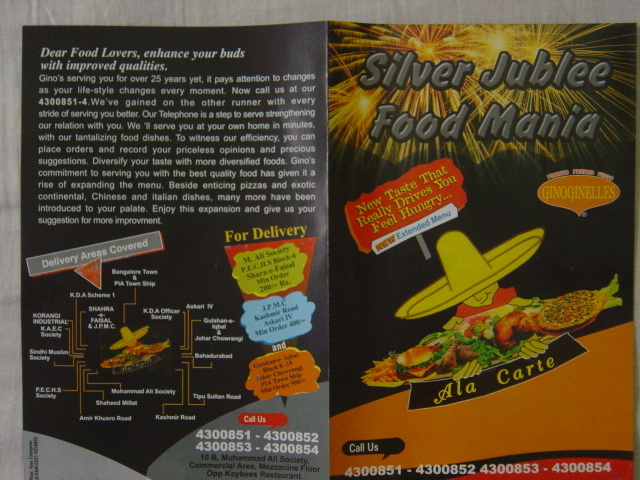 It’s essential that the brochures should be appealing, good quality and most importantly free of typographical errors. 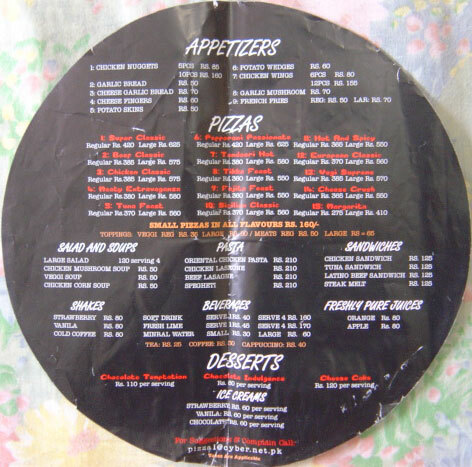 The brochure should include the entire menu with price points and the snapshots of the most sizzling dishes, taken by a professional photographer. Any special deals should also be a part of it. Offer special economical deals especially at the lunch hour to the surrounding area residents. This may or may not include free home delivery. The thing to focus on is the deal itself. It should be really reasonable pertaining to the amount consumers usually spend on a good lunch. And the quantity should be substantial, just like what they’re offering at their usual rates. That and the quality of the food is the most important thing. Pakistani consumers are especially susceptible to anything even remotely deceptive when it comes to special deals. One false move on the restaurateur’s part and the customer is not only to never return, he’s going to ensure everyone within his circle of influence does the same. Deceive a handful of consumers with a large circle of influence and you’ve got a major dent in your sales. Annual Membership at a nominal cost with special discounts as high as 50% is something which has been used to tremendous effect by the Pakistani marketers. The pioneer of this technique, or at least the one who romanticized it was none other than Pizza Hut. Eager to penetrate the B-class segment of North Nazimabad and Gulshane Iqbal, it offered membership deals only for outlets in these areas where you could avail an amazing 50% discount on any meal. The card cost a mere Rs.500 and although the number of times you could avail the 50% discount in a year was limited, it still was more than enough to last a year. In fact a single membership bought by one of my friends was used by all the other friends in our group. It was that good. Nanking should definitely make use of this strategy. The bulk of the worth of a restaurant is built up through word-of-mouth. However, most of the time word-of-mouth is a slow process. In order to catalyze it, nifty marketing is a must. Yes, the brand equity is established over a period of time, but the sales part is the crucial part which the restaurant needs to survive and prosper till the brand equity takes over the. And for the sales to take off, good old-fashioned marketing with a good honest offering is the only fool-proof way to go. New Nanking has had a decent start. It should definitely capitalize on it with some shrewd marketing. « Wi-Tribe: Is it THE WiMax we’ve been waiting for?